Everyone has heard of “flower power” right? 1. the ideas of the flower children, esp. the promotion of peace and love as means of changing the world. Have you ever heard of Flour Power? 1. the coolest new destination for kids in Charlotte. 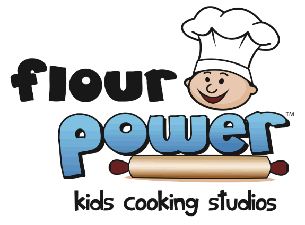 At Flour Power Kids Cooking Studio we know that all children learn through hands-on discovery. Fold in the ingredients of fun, energetic adults and the love for home cooked food, and you have stirred up the essence of a Lil’ Chef. From preschool to teens, we sizzle up amazing programs such as Birthday Parties, Weekly Classes, Camps, Adult Classes, Kids Night Out, and Etiquette classes! We can’t wait to meet you and your Lil’ Chef soon! Flour Power Studios has two upcoming events that you and your family don’t want to miss. A casting call and a new location grand opening. Summary: JWV Artists and J. Sam’s invite you to come enjoy a night of fine food, wine and beautiful art. JWV Artists is proud to partner with J. Sam’s and will be showcasing the works of two NC native artists, Allison Chambers and Marlise Newman. Click here for a full bio of these two amazing artists and several others. Summary: How do you make reading more enjoyable, just add a puppy. Enjoy some special quiet time while reading with a puppy. Registration is required and slots fill far in advance. Summary: Joystick – The Band that gets the Party Started and takes you reminiscing back to your favorite HITS of the 70’s and Specializing in the Greatest hits of the 80″s pop and rock Scene. Summary: Relax in a great family friendly environment and listen to the unforgettable music of Natty Boh. Summary: Huntington Learning Center is offering a free college planning seminar. The 90 minute seminar will be hosted by Ryan Clark, MBA, CCPS and author of the book College Aid for Middle Class America: Solutions to Paying Wholesale vs. Retail. Ryan will provide you and your student advice on “How To Choose The Best College For Your Student And Your Pocketbook”. Don’t miss this incredible opportunity! Call today to register. Summary: See and touch many reptile and amphibian like frogs, turtles, lizards and snakes. Summary: Use your sense of touch in I CAN Create this weekend as we mix different ingredients together to make a fun concoction to take home. Join us at 11:00 a.m. and 2:00 p.m. for this slimy, messy and gooey hands-on activity. Summary: Cloth diapers are not what they used to be! Gone are the days of plastic pants, diaper pins, and hand washing. Today’s modern reusable diaper is environmentally friendly, chemical free, easy to use, cost-effective, and let’s face it – super cute! Sign up for any of our free cloth diapering classes and we will show you how easy cloth diapering can be and explain why cloth diapers are better for your baby, better for your planet, and better for your bank account. If you are considering cloth diapers or want to learn more, this is the perfect class for you. It is essentially Cloth Diapering 101! Our classes are informational, always FREE, and there is aboslutely no obligation to sign-up for service. Summary: Your kids and you can spend quality time together while enjoying the wonderful stories during story time. Summary: Off to a 2-0 start, averaging 49.5 points per game and out scoring opponents 99 – 14, The Charlotte 49ers football team is having a great year in their inaugural season. This weekend they are looking to go 3-0 as they take on North Carolina Central. Summary:We have a special evening planned for your child!!! Drop your child (AGES 5-12) off at our Creativity Center from 6-9pm so they can build, play, relax, compete in challenges and have a evening full of LEGO® fun and excitement!!! And parents can use the time for a just a night out without the kidz! We will also provide DINNER/SNACKS for them too! Space is limited!!! Ckick here to register. Summary: Fun for the whole family! Bring your lawn chairs and blankets and enjoy live music from The Loafers. Scarowinds Halloween Haunt – Now opened! Summary: DARKNESS FALLS. EVIL RISES. Every weekend night, Carowinds transforms into a horror-filled nightmare. From mazes with terrifying creatures around every corner to thrill rides that’ll haunt your dreams, it’s everything you fear and can’t wait to experience. Not for anyone under 13. Summary: Use your sense of touch in I CAN Create this weekend as we mix different ingredients together to make a fun concoction to take home. Join us at 2:00 p.m. for this slimy, messy and gooey hands-on activity. 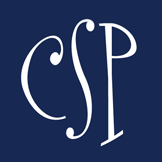 Summary: What better way to wrap up the weekend than to Chillax to the sounds of the Davidson Symphony & Jazz Ensemble. Smart Alert: Monthly FlyWheel Memberships Back by Popular Demand! Back-to-School and Holiday Season. A comparison in insanity.